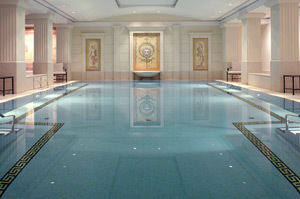 When was the last time you were in Berlin? If you havent been recently, it is certainly worth the trip! 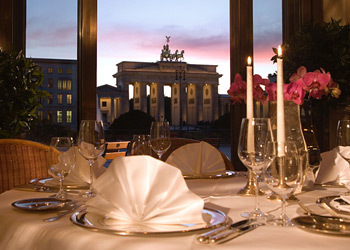 We were invited to review Berlins most famous hotel, the legendary Adlon Kempinski Berlin located at the boulevard Unter den Linden at the Brandenburg Gate. 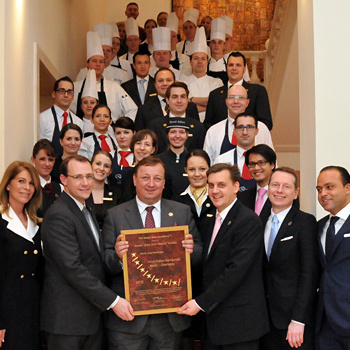 The Adlon received full accolades of Seven Stars and Seven Stripes on February 23rd, 2012 and we are welcoming them to the distinguished group of the officially recognized 'Seven Star Hotels of the World'. 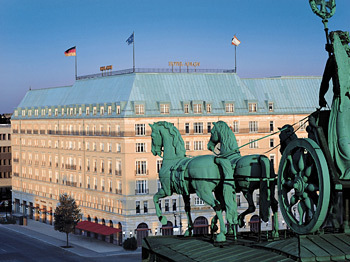 It was a stroke of absolute brilliance when Emperor William II approved a plan submitted by Lorenz Adlon to build this one-of-a-kind hotel in the center of Berlin to be a showpiece of nobility and grace. 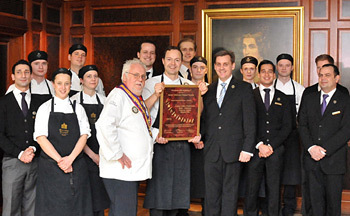 While the Adlon had gone through its historical changes since inception, some traditions remain and the feeling you get walking into the Seven Stars awarded Esszimmer restaurant conjures up images reminding one of being in a time warp. 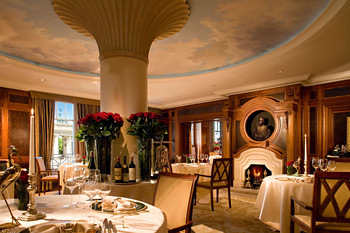 The ambiance of the restaurant exudes luxurious elegance, comfort and eye appeal, a true Seven Stars dining experience. 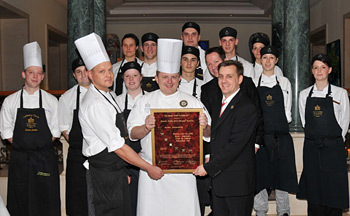 We give a lot of credit to the entire team of experts in the kitchen, bakery and in the restaurant. They are truly in sync with each other and on top of their game. 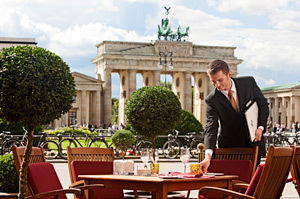 Make sure that your book your Berlin experience around the Sunday Champagne Brunch at the Quareé Restaurant, a celebration for the palate, presented and served with expert skills and gracious smiles and a never-ending stream of Moët & Chandon, street level to the Brandenburg Gate. 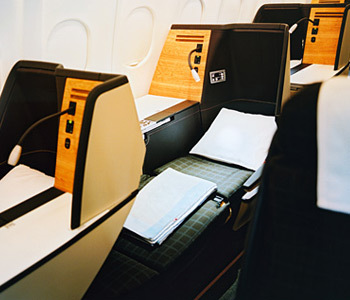 If you are indecisive as to what airline to choose and adore great food and good service, try Swiss International. 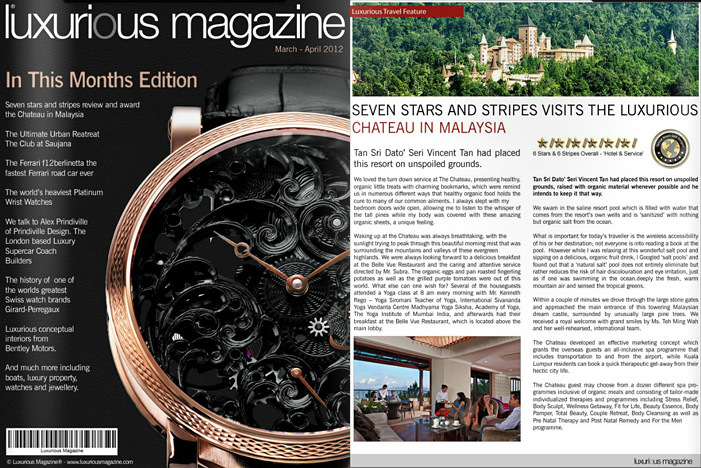 Last but not least we are proud to announce that we have partnered with Luxurious Magazine so dont forget to download the most recent edition of Luxurious Magazine on your Kindle before you leave. Paul Godbold is an Englishman who now resides on the Tropical Island of Penang in Malaysia. After brief 'stints' in modeling and the British Army, he started a computer assembly and distribution company in his early 20's. 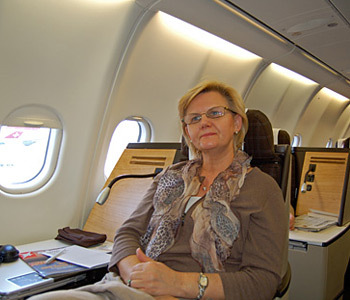 This company grew rapidly and enabled him to sample the finer things life, lighting his passion for travel, sports cars, unique properties, fine dining and luxury goods. After selling this company, Paul went on to create a European based Consultancy firm and later a UK authorized financial services company. He is now the founder and owner of Luxurious Magazine®, an independent luxury lifestyle web publication. Paul is a keen collector of rare time pieces, art, memorabilia, antiques and is an advocate of fine dining and luxury travel. 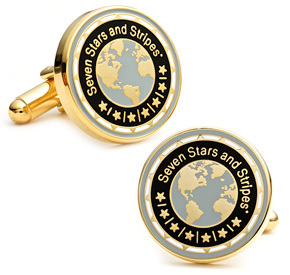 Paul commented "I am extremely honored to be invited onto the Seven Stars and Stripes® Advisory Board, among such distinguished and knowledgeable people, I hope that my personal and professional experiences of fine dining and luxury travel will be a worthy addition to this wonderful organization." Our exquisite hardcover coffee table books, custom designed for each resort, hotel, spa and restaurant, feature highlights and possible excursions of each establishment, along with the Seven Stars and Stripes review and award presentation. These impressive hard cover books, now available in three different styles, are luxuriously wrapped and make great holiday gifts and keepsakes, all the while showing the full potential of what guests may experience. 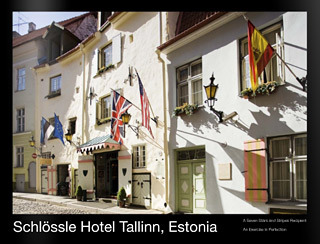 Please CLICK and FLIP' through the Seven Stars and Stripes review and award celebration at the Schloessle Hotel Tallinn, Estonia. Enjoy!